On Saturday, August 5, the Florida Authors & Publishers Association (FAPA) gave out its prestigious annual President’s Awards for the best books of 2015 and the first half of 2016 by authors and publishers in Florida and throughout the United States. 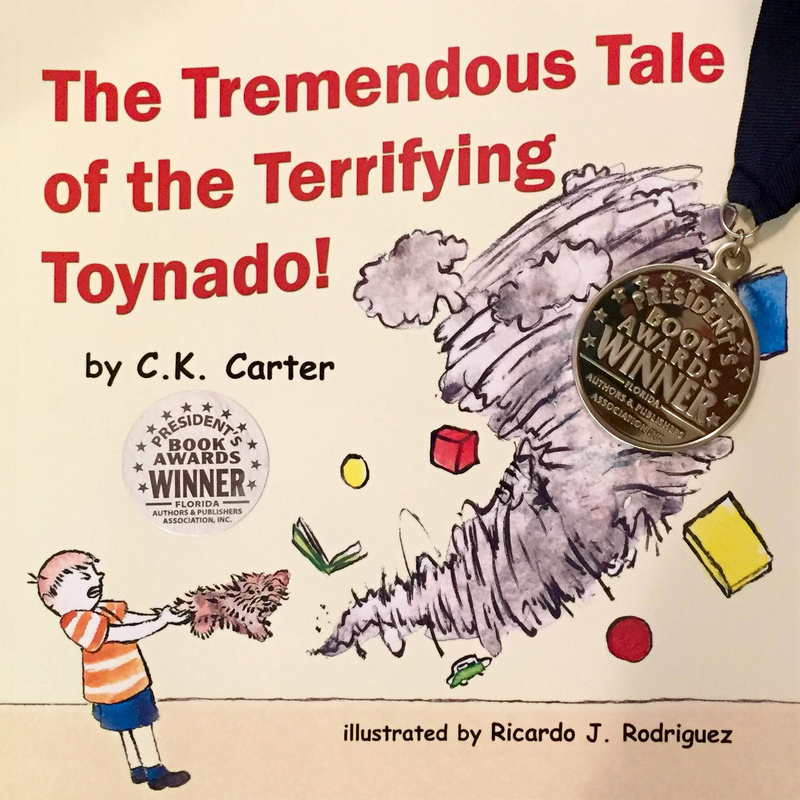 The event, which took place at the Hilton Orlando/Lake Buena Vista Resort, recognized outstanding books by awarding either a gold, silver, or bronze medal. Winners were selected by the competition’s sixty-five judges, which included librarians, educators, designers, and publishing professionals. 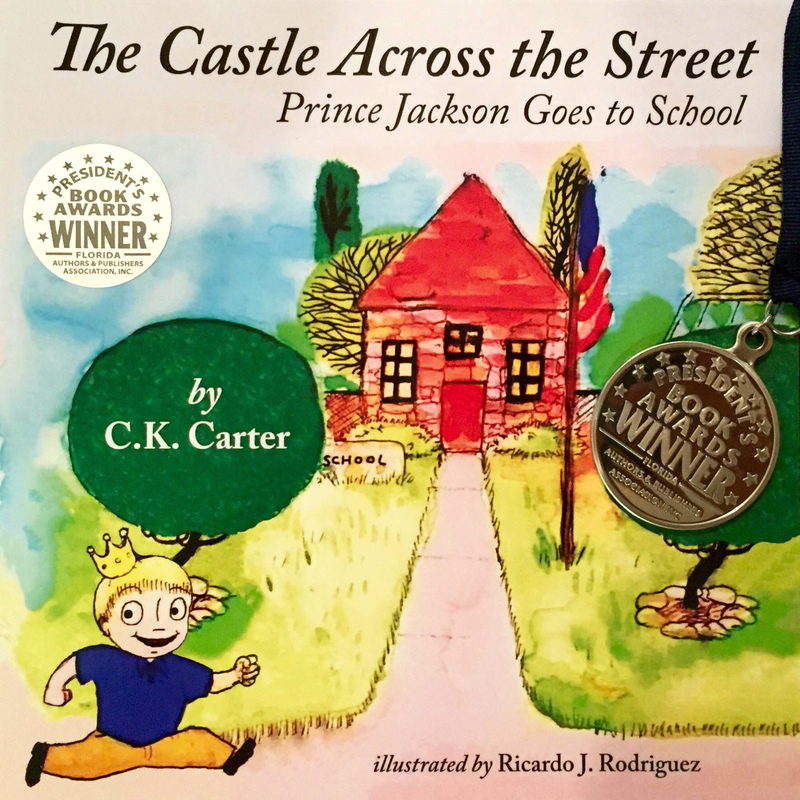 Both of C.K.’s most recent children’s books, The Castle Across the Street: Prince Jackson Goes to School and The Tremendous Tale of the Terrifying Toynado, received a Silver 2016 President’s Book Award. C.K.’s lastest books join her first two previously awarded books, The Castle Across the Street (Silver 2014 FAPA Award) and My Silly Dog Gus (Gold 2015 Fapa Award). As a recipient of a FAPA President’s Book Award, C.K. will also have the opportunity to have her books displayed at BookExpo America 2017. FAPA will be hosting a booth at the #1 book and author event for the book industry in the United States in New York City on May 31–June 2, 2017.